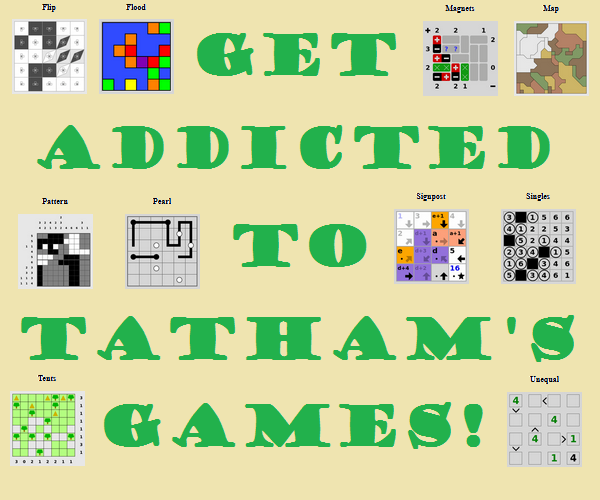 Well, the last puzzle I made was solved in about an hour, during which time I was busily creating more hints. So this time I'm going to be less forthcoming with the giveaways and see what you cryptography nerds can come up with all on your own. 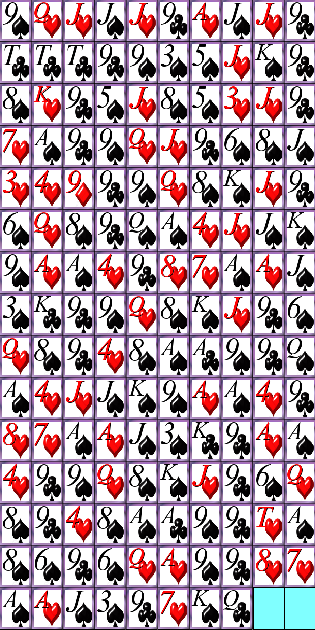 The most frequent card by far is the Nine of Clubs. The cards represent a cipher. The reading direction is the usual western one: left to right, top to bottom. The cipher is a monoalphabetic substitution cipher, because the 26 letters can easily be represented with 24 cards. There are several repeated words, for example 9S QH 8S KS JH, 6S QH 8S, QS AS 4H JH JS KS 9S AH AS 4H and 8H 7H AS AH JS 3S (KC). The additional (KC) could be an s, because it is a plural or a present-tense verb in third person singular, or it could be punctuation. TC TC TC stands out as a word with three identical letters. Aaa! The previous frequency analysis doesn't make any letter stand out as a prime candidate for E. We could try several smaller words, for example the frequent the and and. Let's focus on QS AS 4H JH JS KS 9S AH AS 4H, which has AS and AHrepeated. This pattern can be found in many words, the most frequent being understand, particular, conversion, despatches, congestion, intolerant and convulsion. Then the list trickles out into the likes of Hanoverian, Manchurian and Talmudical. There are • • • types of people in the world: those who understand binary, those who don't understand binary, and those who don't know what binary is. That's a variation of a popular joke. The punctuation was placed using common rules. But what should the three TCs represent? They must all be the same character, and the joke suggests digits. Maybe 111, because someone who uses unary numbers doesn't know what binary is? Let's try to find some structure. Here, the _ marks the space character; blank entries aren't used in the encoded message. Unfortunately, that doesn't look very regular. And indeed, the missing digits are 111. There are 111 types of people in the world: those who understand binary, those who don't understand binary, and those who don't know what binary is.